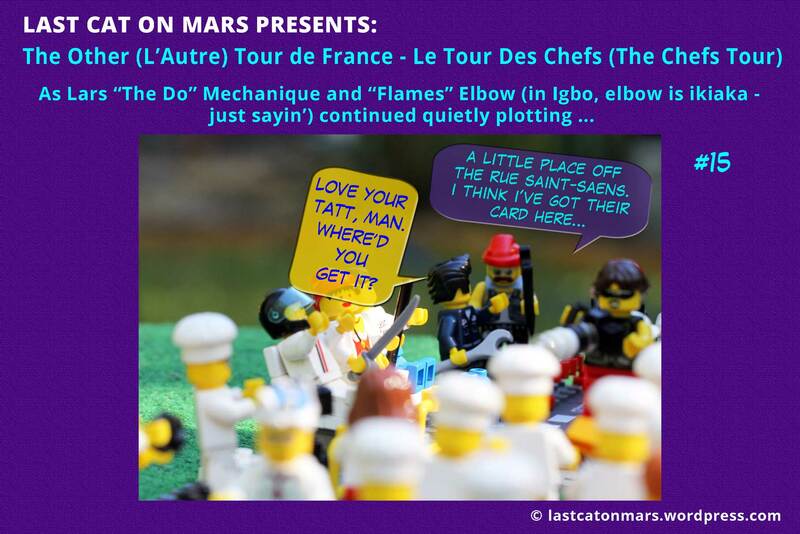 This entry was posted in The Other Tour de France and tagged cats, chefs, cycling, lego, minifigures, panel 19, The Chefs Tour, the other tour de france on August 31, 2014 by Jay Verney. 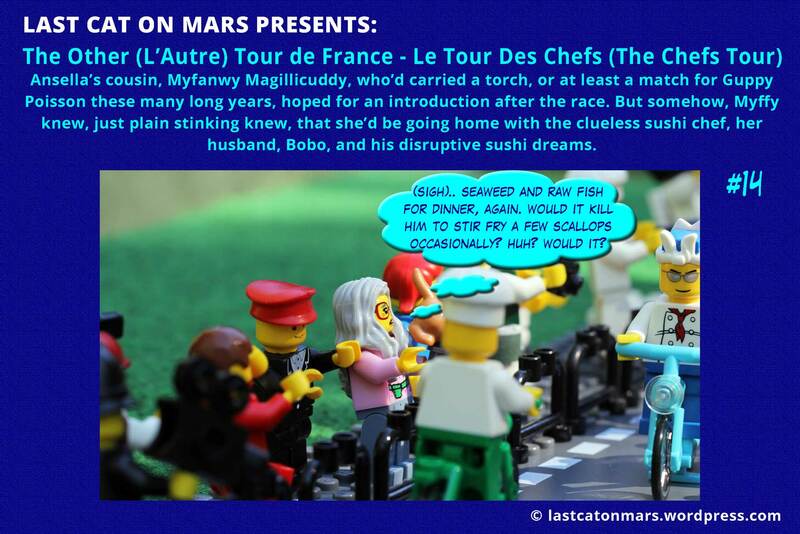 This entry was posted in The Other Tour de France and tagged chefs, cycling, lego, minifigures, panel 18, The Chefs Tour, the other tour de france on August 30, 2014 by Jay Verney. 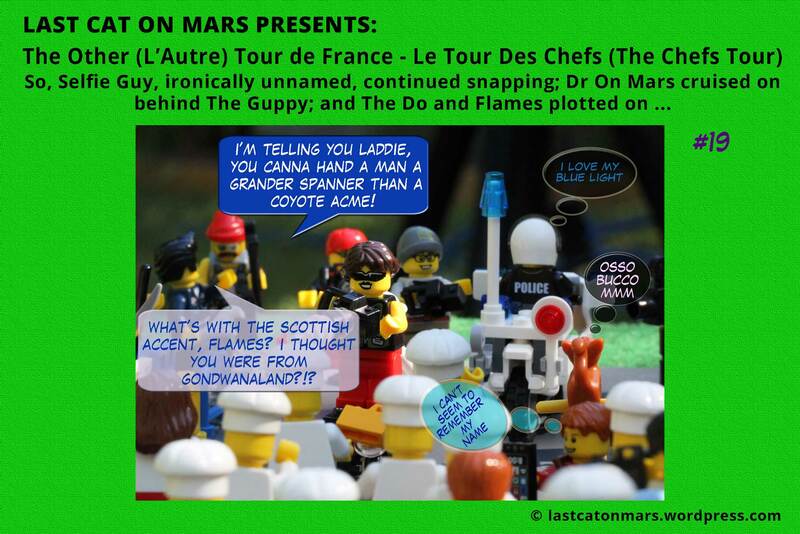 This entry was posted in The Other Tour de France and tagged chefs, cycling, lego, minifigures, panel 17, The Chefs Tour, the other tour de france on August 29, 2014 by Jay Verney. 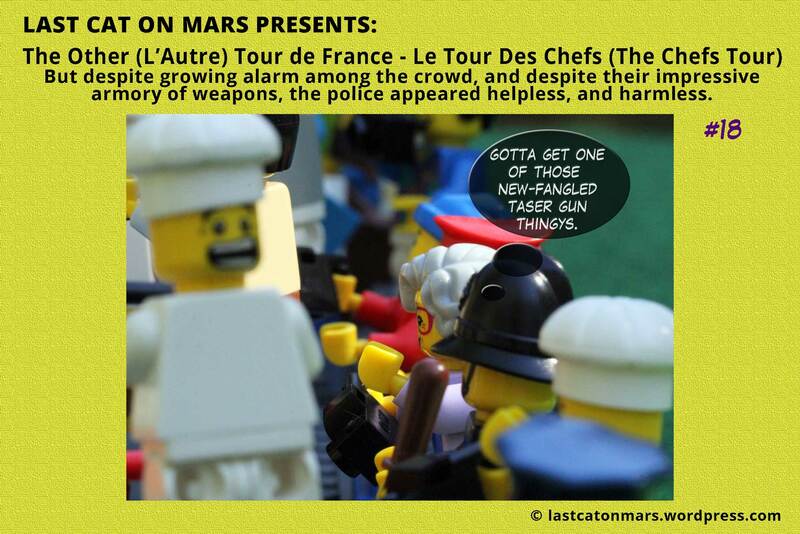 This entry was posted in The Other Tour de France and tagged cats, chefs, cycling, food, lego, minifigures, panel 16, The Chefs Tour, the other tour de france on August 28, 2014 by Jay Verney. 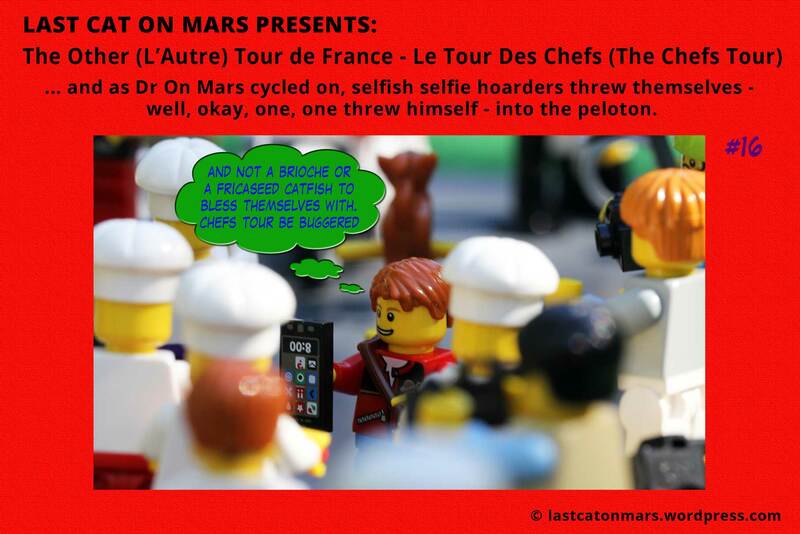 This entry was posted in The Other Tour de France and tagged chefs, cycling, lego, minifigures, panel 15, The Chefs Tour, the other tour de france on August 27, 2014 by Jay Verney. 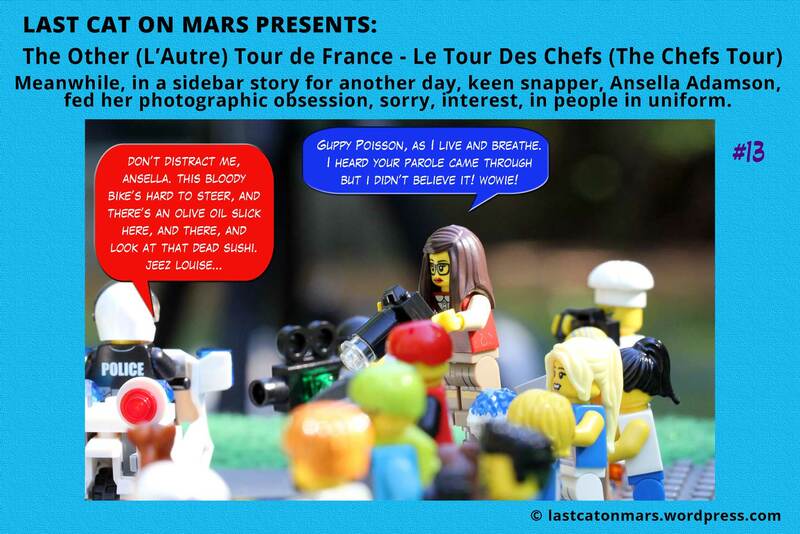 This entry was posted in The Other Tour de France and tagged chefs, cycling, food, lego, minifigures, panel 14, The Chefs Tour, the other tour de france on August 26, 2014 by Jay Verney. 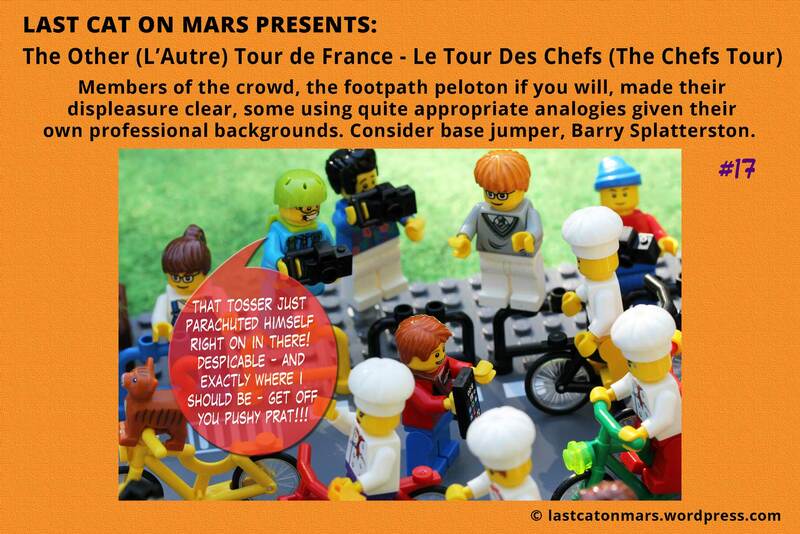 This entry was posted in The Other Tour de France and tagged chefs, cycling, lego, minifigures, panel 13, The Chefs Tour, the other tour de france on August 25, 2014 by Jay Verney.